Tooth colored and silver fillings — they’re both common ways to restore a tooth from decay and damage. Which is better, though? Your dentist at East Islip Dental Care is here to help you understand your options. Keep reading to learn more about the differences between silver and tooth colored fillings in Islip! When the acids and bacteria left behind by food aren’t fully removed with good brushing and flossing, your teeth are vulnerable to decay. When it happens to you, you’ve got a cavity, or a small hole in the tooth enamel. To return your tooth to its good health, the cavity will need to be filled by your dentist in Islip. This process involves removing the spot of decay, cleaning the hole and filling it with either silver or a tooth-colored material. For years, metal, or amalgam, fillings were the only option for restoring a tooth from decay. The silver substance is a sturdy, long-lasting way to fill a cavity, but this option is also highly noticeable in the mouth — and silver fillings really mar a smile when decay is present in the teeth that show when you smile. These days, there’s a better option available in East Islip. Unlike silver fillings, the material for tooth-colored fillings blends flawlessly with the rest of your smile. It’s composite resin, a silicon dioxide-filled, tooth-colored plastic that’s highly customizable to match your natural surrounding teeth. That makes tooth-colored fillings the best choice for decay in the front and back of the smile. Additional benefits of white fillings include the following. Composite resin requires less removal of natural tooth and actually supports surrounding structure, reducing future breakage and wear. Because white fillings dry completely during the procedure, you don’t have to avoid chewing on the tooth for hours while your silver filling hardens. Composite resin fillings can last as long as amalgam fillings (eight to 10 years). Patients concerned with the potential for problems related to their existing silver fillings may want to explore filling replacement. It’s a simple procedure performed at East Islip Dental Care that can help fix current problems and prevent future issues. 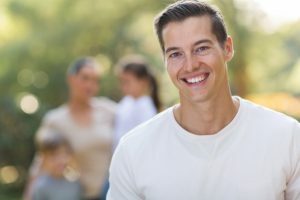 If you’d like to learn more about tooth-colored fillings or about filling replacement, please don’t wait to contact the team at East Islip Dental Care. We can restore your teeth to their original health with a beautiful, natural-looking filling! Request your appointment today.